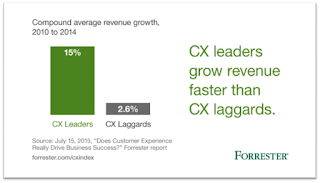 CX Journey™: CX Journey™ Musings: Should You Invest in Customer Experience? CX Journey™ Musings: Should You Invest in Customer Experience? 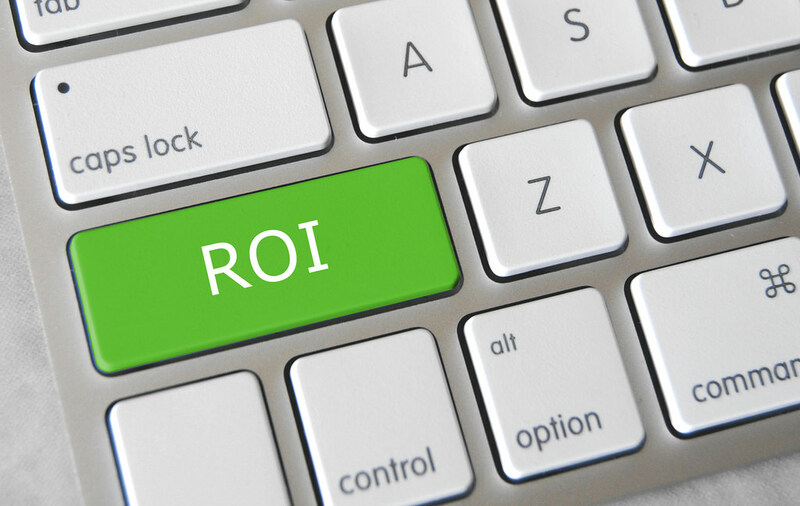 ROI is still our favorite "three-letter word." Nothing wrong with that! It's been a year or more since I've written about the ROI of customer experience. Always good to revisit this topic because it is such a hot one for customer experience professionals. Executives want to see hard numbers about any investments they make. Of course, they want to see their own hard numbers, but absent those, we can tell the story of the benefits of customer experience through some benchmark data, through examples of successes that others have achieved by doing what you should/could be doing. 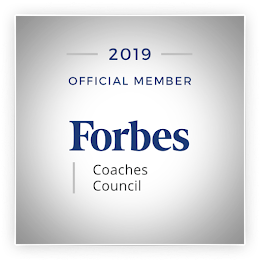 In the past, I've referenced Jon Picoult's research at Watermark Consulting, where he's compared the market performance of CX Leaders and CX Laggards (based on Forrester's Customer Experience Index). His last overall, cross-industry comparison was done in 2015; in 2016, he focused on the ROI of customer experience in the insurance industry, and in 2017, he has focused on the airline industry. Always the same (great) story, regardless. In 2016, they conducted a six-month research effort that took a look at the relationship between customer experience and superior revenue growth. They chose pairs of competitors where one company in the pair had significantly higher customer experience than the other (according to their own customers). They did this for five industries - cable, airlines, investments, retail, and health insurance - and then built models to compare the compound annual growth rate in revenue of the CX Leaders to the CX Laggards between 2010 and 2014. As you can see from the graphic above, there is definitely a correlation between the two, superior customer experience and superior revenue growth. This was the case for four of the five industries they researched; for health insurance companies, a superior customer experience didn't equate to superior revenue growth. Forrester attributed this to switching abilities. If you're familiar with the American Customer Satisfaction Index (ACSI), they have now started to compare customer satisfaction and market performance. They claim that: An organization’s customer satisfaction performance, as measured by ACSI’s methodology, can predict how well the firm will perform in terms of corporate revenue and earnings growth. 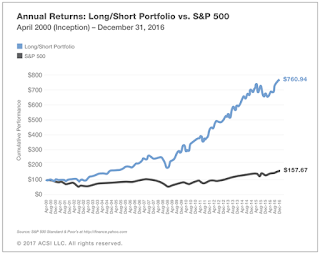 Check out more details on their site, including how they picked the Long Portfolio and Short Portfolio companies. The net-net of it all: we know that it's important to invest in customer experience, today more than ever. 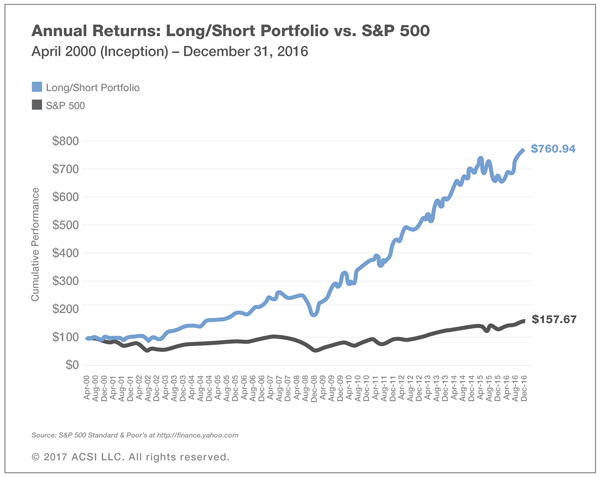 The returns are real. And they are proven.